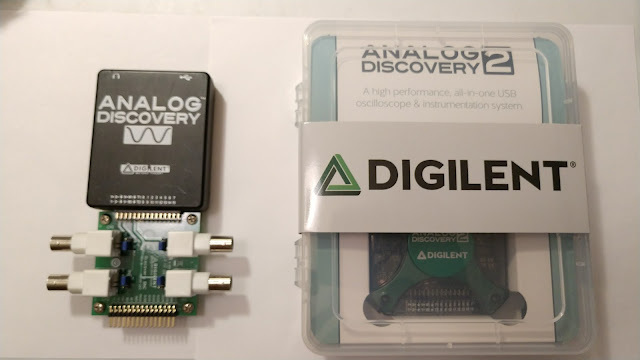 The Analog Discovery 2 by Digilent is the sequel to the popular Analog Discovery. The first Analog Discovery, which Hong's Electronics reviewed in 2013, was released in late 2012; The Analog Discovery 2 made its debut in late 2016. From my usage of the first AD, I was pleased to find that Digilent kept the form factor about the same and that they stuck with the same pin-out in the AD2. For those of you like me who have the BNC adapter board for the original, it will work with the AD2 and the same flywires from the original will work on the AD2. With the original AD, the advertised performance of the oscilloscope and function generator is 14 bit, 100 MS/s and a bandwidth of 5 MHz. Now Digilent advertises the AD2 with more detailed specifications, and specifies the bandwidth to be 9 MHz with the included flywires, and 30+ MHz with the BNC adapter board. 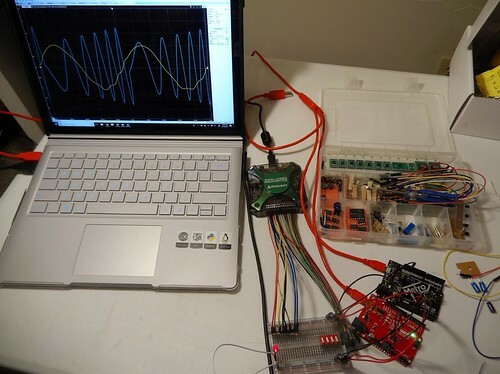 The waveform generator now performs at bandwidths of 9 MHz (flywires) and 12 MHz (BNC adapter). The AD2 uses Waveforms 2015, which also supports the original AD and Electronics Explorer board (Hong's Electronics reviewed the EE Board). The Waveforms software runs on Windows, Mac, and Linux. It also runs on the Raspberry Pi! I have ran the software on a Raspberry Pi 3 with the Electronics Explorer board in a project that I documented on Hong's Electronics called Pi Bench. The Analog Discovery 2 Website has a nice interactive demo videos showcasing the instruments supported by Waveforms 2015. Overall I think it is worth it to upgrade from the original to Analog Discovery 2, because the performance gains in bandwidth for the scope and AWG are well worth it. The upgrade to an adjustable power supply and the option to add more power via an auxiliary DC power connector is the cherry on top. I am looking forward to adding the AD2 to my hardware travel toolkit. The $279 price tag might be a barrier to some, but to those who can afford it and travels to conferences and hackathons as much as I do, I believe it is well worth the cost. 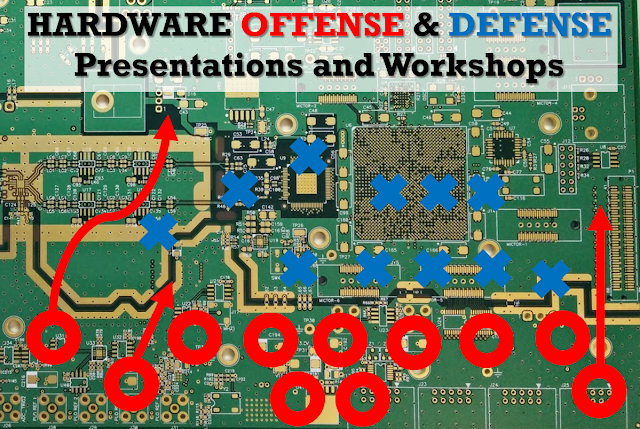 It is one amazing hardware hacking tool! Also, have you had any issue with the aux power? Mine seems to lose the usb pc connection, whenever I plug external 5v to the barrel jack.